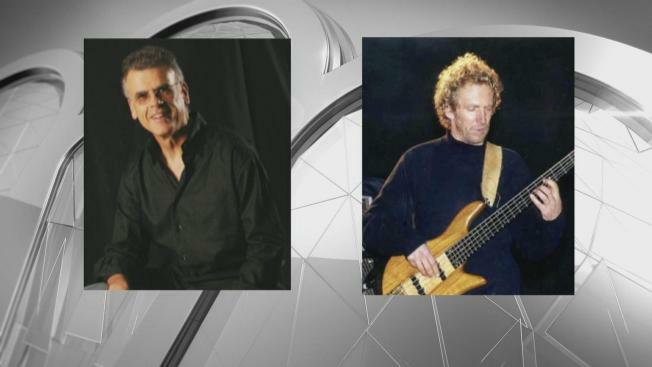 Two members of iconic Bay Area R&B band Tower of Power were struck by an Amtrak train near Oakland's Jack London Square and taken to a hospital Thursday night, according to a band spokesperson. "There was no warning," Hae-Sin Thomas said. "There was no lights." The two men were taken to Highland Hospital in Oakland. The extent of their injuries was not known. The band released a statement late Thursday night, naming the two injured men. "In an unfortunate accident tonight, two members of the award-winning group Tower Of Power, drummer David Garibaldi and current bassist Marc van Wageningen, were struck by a train in California. Both men are responsive and being treated at a local hospital in Oakland." Amtrak train 547, on the Capitol Corridor line that travels between Sacramento and San Jose, had 26 passengers onboard with no reported injuries to passengers or crew, Amtrak officials said. They added that the two pedestrians struck by the train were trespassing on the tracks. Tower of Power canceled a concert they were slated to play at Yoshi's Thursday night. Multiple pedestrians hit by train, Clay x Embarcadero in JLS. 2 patients taken to area hospital from train incident. Command terminated.